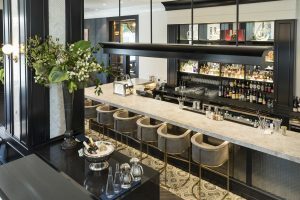 The Magnolia Hotel & Spa’s new restaurant and bar is downtown Victoria’s best kept secret—but not for long. 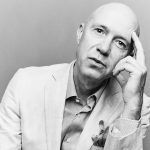 Editor and publisher of TravelRight.Today, Doug Wallace is a habitué of hip hotels worldwide. Current clients include the London Telegraph, Fairmont Magazine, Trivago.ca and Today’s Bride. They had us at the chevron-patterned wood flooring. The Courtney Room opened recently at the Magnolia Hotel & Spa, taking over the space previously occupied by Catalano Restaurant. A complete overhaul delivered new everything, all airy and white, the renovation pushing the ceiling even higher than it was before. 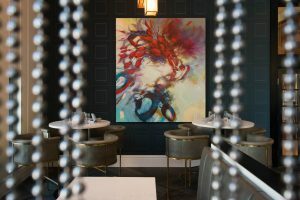 Expect velvet banquette seating, bistro-style lighting and elements of Art Nouveau in the brasserie on the main floor. The menu here features comforting shareable fare, along with charcuterie and cheese, plus ceviche and tartare selections from the raw bar—including a CAD$95 Seafood Tower with a selection of raw and cured seafood. Main dishes cover off things like smoked duck breast, gruyere mac and cheese and a selection of steaks. The finer dining takes place upstairs, with white tablecloths, brass accents and bronze beaded curtains highlighting an earthy color palette that matches that of the hotel. 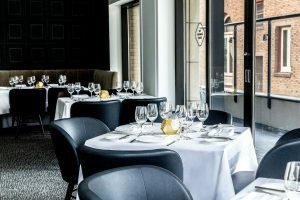 This menu is full of classics like shrimp cocktail, beef tartare, baked halibut, seared scallops and four cuts of steak, with a list of side dishes you will find difficult to narrow down. The CAD$88 tasting menu is where the kitchen truly shines and presents extremely good value. And who doesn’t love a course called Pre-Dessert? 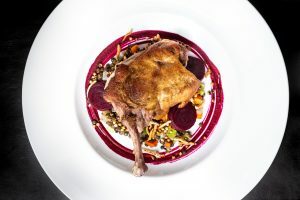 Chef Sam Harris favors local suppliers of seafood and steak, plus all the necessary trimmings—even a few you don’t expect—dishing out pure Canadiana with a tantalizing French twist. Suppliers include Umi Nami Farm, Haliburton Farms, Finest at Sea, Saanich Organics and wild food forager Lance Staples, among others. Harris comes to The Courtney Room from Agrius in Victoria. He has held positions at the Relais & Chateaux-designated Sonora Resort, the Four Seasons Whistler, Bishop’s in Vancouver and Stage in Victoria. And if you’re just popping in for a quick one, the granite bar surrounded by wood columns and white marble chevron detail is perfect for bellying up to after work, mixing original and classic cocktails. The wine list has a little something for everyone, curated to encompass the cream of varietals and regions, with many from the Gulf Islands. A glass of bubbles from Vancouver Island’s Unsworth Vineyards and a dozen oysters? Don’t mind if we do.